Well, I had almost given up. Now, back to my despair! I can tell anyone reading this blog post that it is incredibly frustrating being a published author in today’s publishing environment. I have written three books in the series, “The Chronicles of Jonathan Steel”. After the second book came out, my publisher, Charisma, “released” me from a five book contract. But, I and already written the next two books in the series. I put a few feelers out to interested publishers and had my agent try and generate some interest in the third book. No response. I have self published before and at the first annual Platform conference in Nashville, Michael Hyatt told me to self publish again. Take control of your own destiny, he suggested. I turned to Westbow Press, a division of Thomas Nelson where Michael Hyatt was once CEO. That book became available in December, 2014 about six weeks later than my third book would have come out through Charisma. Unfortunately, the third book has not received as much attention than the first two. In fact, after months of writing this blog and promoting my book here and through Facebook and Twitter I had become very discouraged. I had all 13 books in the series mapped out. But, it seemed interest was dwindling in my book series. At the same time, B&H Publishing approached me and my co-author, Mark Sutton during the ICRS, the largest Christian media trade show in the country. In July, 2012 I was asked by B&H to update our depression book, Conquering Depression. This development was a complete shock and a pleasant development. But, it would mean I would now be dividing my time between Jonathan Steel and a new book on depression. The last two years have been tough but ultimately rewarding. 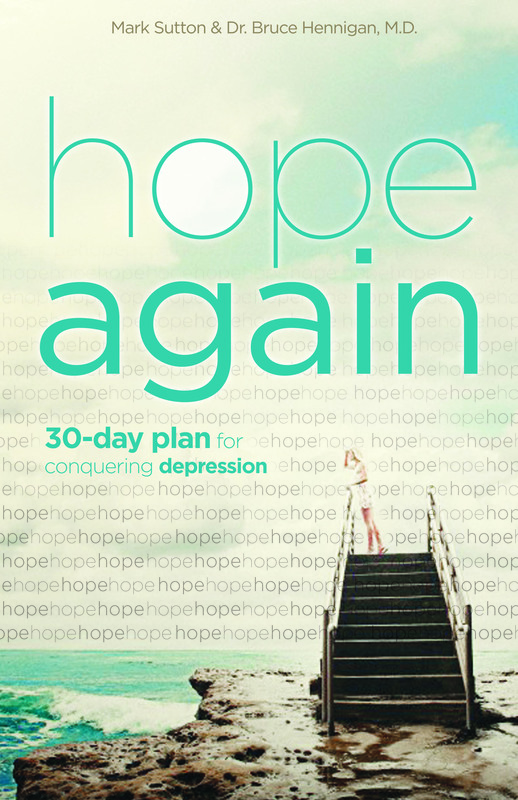 “Hope Again: A 30 Day Plan for Conquering Depression” will be released in September and soon, our website will debut. I am currently working feverishly on the website and social media and marketing and publicity and . . . But, what about Jonathan Steel? The fourth book in the series is already written. In fact, the original manuscript was responsible for securing that five book series deal with Charisma. But, the original novel was 150,000 words long. My contract with Charisma specified a maximum book length of 75,000 words! What was I to do? It would mean seriously chopping down the fourth book to half of its length! I considered breaking the book into two parts, but the story just wouldn’t hold up. I went to work, painfully and carefully whittling down the manuscript. It was tough, let me tell you. As my books have come out, I have had the great fortune of working with an excellent editor and my writing has improved. This is a great lesson every aspiring novelist should pay attention to. Spend the time and money to get an editorial input on your manuscript. You will learn so much and your writing will improve or you will walk away in total frustration. Now, with my former contract kaput, I have to decide what to do with the fourth book. Back in April, I made a decision to take the new, shorter edit and the old, longer manuscript and bring them together. The shorter work had so much more going for it, but the longer manuscript was meatier with more character development and lots of new backstory. A shocking development occurred in the narrative as I rewrote the book for the shorter version and I was excited about the potential. But, again I became discouraged. Should I press on with the series? How could I afford another self-publishing package in the tens of thousands when the third book just wasn’t bringing in the funds to offset these expenses? But, as I started in on the third revision of the book, I got excited about some story changes based on hints and clues I placed in “The 11th Demon”. I really want to get this book out there. And then, I decided to check out a relative’s new book on Amazon. I can’t reveal her real name, but her pen name is Lorraine Britt. I read some of the reviews of her book and wondered, “What about my books?” I had checked out only one review for “The 13th Demon” that called it an “honest effort” and I was afraid to go back and check for more reviews. But, I was pleasantly surprised! The reviews definitely reflect the improvement in my writing so that was a relief. And, as I read the reviews I had to keep pinching myself. People actually like my books? They want to read more books? It is late on a Friday night and my discouragement had reached a new high (or low, depending on how you look at it). But, after reading the reviews, I have made a final decision. “The 10th Demon: Children of the Bloodstone” will be released in some form or fashion by November, 2014. I am strongly considering forming my own independent publishing endeavor. The reason? 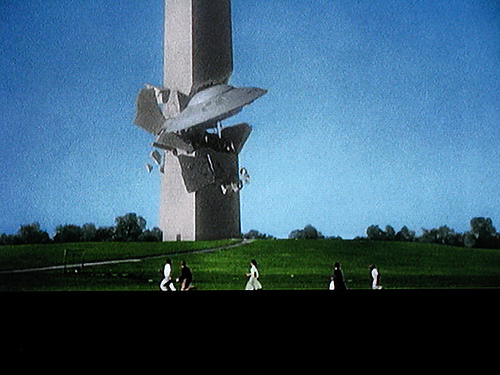 The fourth book will definitely lead to a spin off science fiction series called “The Node of God” if it succeeds. And, I have several other books planned. These are NOT in the genre of Christian Speculative Fiction and I am pretty discouraged with fiction publishing by traditional publishers right now. I may only have a small group of readers who like my characters and want to read my books, what Michael Hyatt calls a “tribe”. And, I imagine we are a strange tribe indeed to want to follow Jonathan Steel on his quest to rediscover his memory and his life. But, I have always lived on the edge of the strange, odd, and edgy. If you’d like to see the fourth book finished, just drop me a comment. I need the encouragement. And for now, I will cling to this one thought: God is not done with me yet and I will never give in, never give up. Check back soon for more information on my new website promoting “Hope Again: A 30 Day Plan for Conquering Depression”. 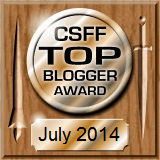 Posted on July 28, 2014, in Apologetics, Breaking News, My Writing, Speculative Fiction and tagged Christian Speculative Fiction, CSFF, Depression, despair, Extraterrestrial, jonathan steel, UFO. Bookmark the permalink. 8 Comments. Mr. Bruce — Not just a 4th book, but the WHOLE REST of this series!! I’m SO GLAD to hear your being able to make them longer too! I love this series, and I pray over you and your family when ever I see your books on my shelf or think of you. My husband fights depression. I have at times, and I know it isn’t easy to push through to the other side. Jonathan Steel’s story is worth pushing through for! We will keep praying over you. Please don’t let this series go only half completed for all time. That would be tragic. I’ve recommend it to everyone who I feel needs or would be interested in this epic work. While your being “skipped over” by publishers now, the first book reads like an amazing movie. I think it is a matter of time till that is “discovered” by the folks God has lined up. Thank you for those kind words. I needed to hear this. Satan is doing horrific things to my family to stop me from writing more books on spiritual warfare and to stop the depression book from coming out. The only way we can best defeat the Enemy is through prayer! Thank you for your prayers! Congratulations and thank you for following me. I’m new to this and it is a great encouragement that you are among my first 20 followers! I seriously came under attack Friday night as I was blogging about the most depressing days of my life. When I got to the victorious part… I could feel the battle going on. I stopped and began praying and praising. Burden lifted. I will pray for you and your family. I think depression is America’s dark horse! I have another website that I am accountable for and the Motto is never give in , never give up, never go back!! I couldn’t believe it when I read those exact words ,minus the last one on your blog!! don’t give up, God goes before us and makes our crooked paths straight!! !